1. When you first visit the store, you will see all your available options for purchase. This includes any package deals you may have, short sleeves, long sleeves, tanks, etc. 2. After you select an item, you will have several drop down options. 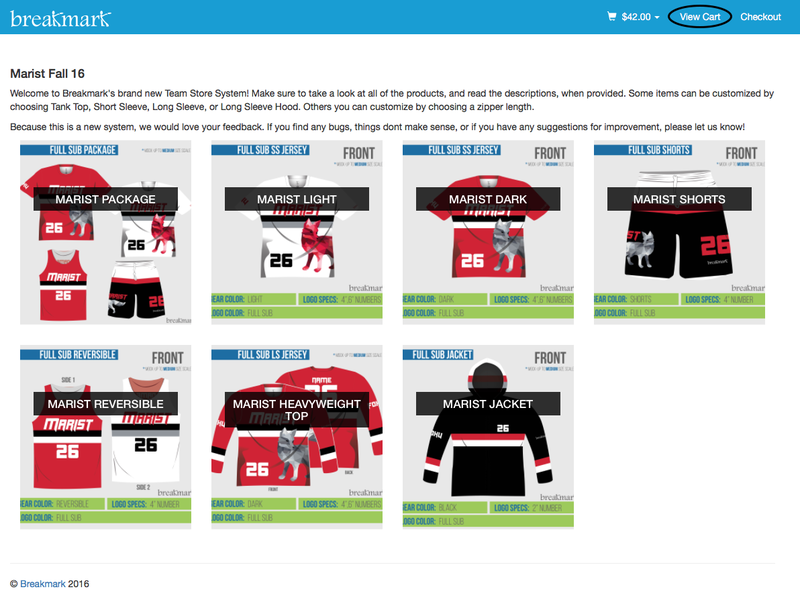 In these drop down menus, you can select everything from the Fit (Men or Women), Shirt Style (SS, LS, Tank, LS Hood), and Size. 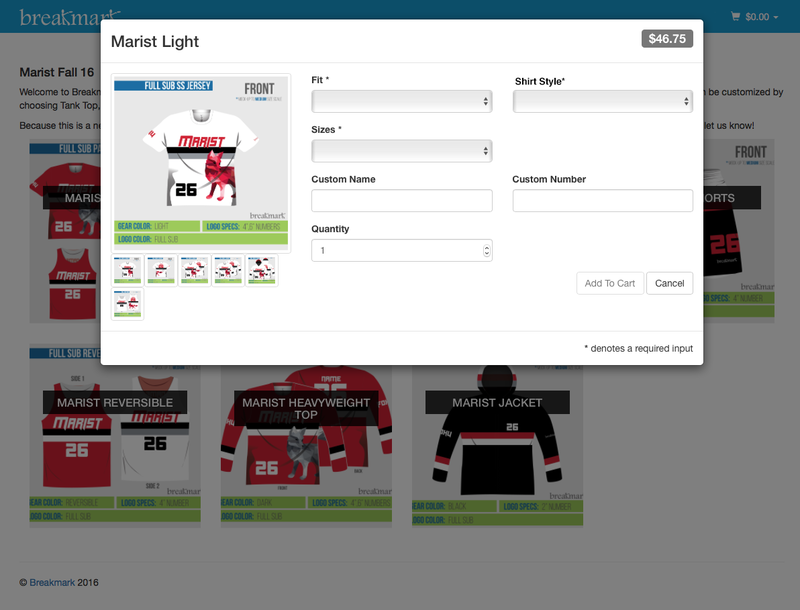 You can also add names/numbers (if applicable), as well as the quantity of items. 3. 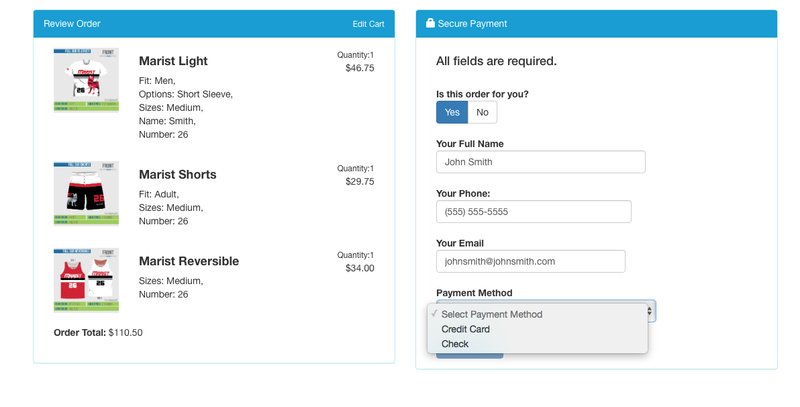 After you have filled in all the appropriate information, you will have the option of adding your item to the cart. To do so, click “Add to Cart”. 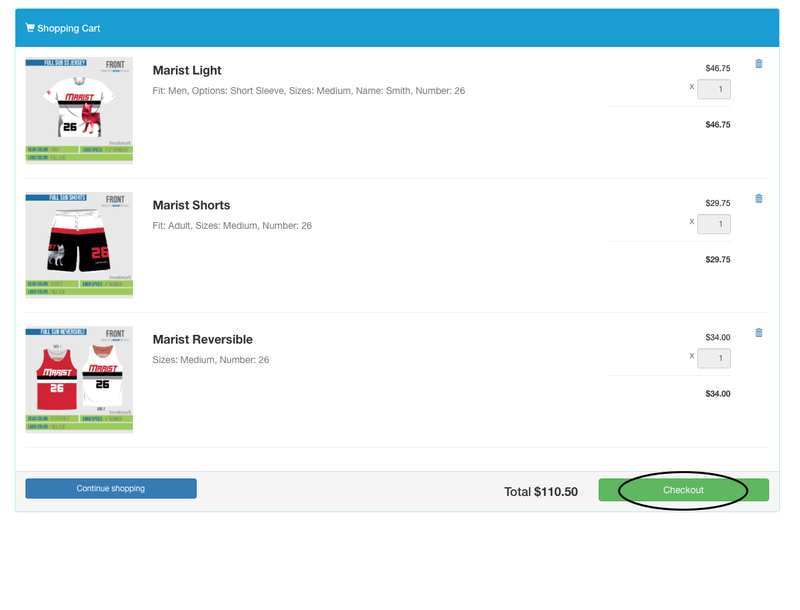 Once you do so, your cart in the upper right hand corner should reflect the new price. 4. 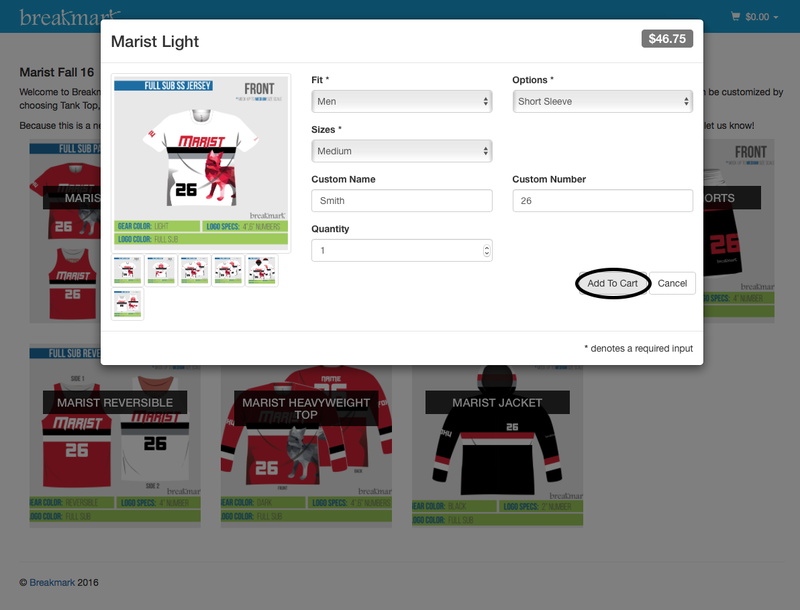 Once you have finished ordering all your gear, you can click on “View Cart” to see all the items you have added. 5. 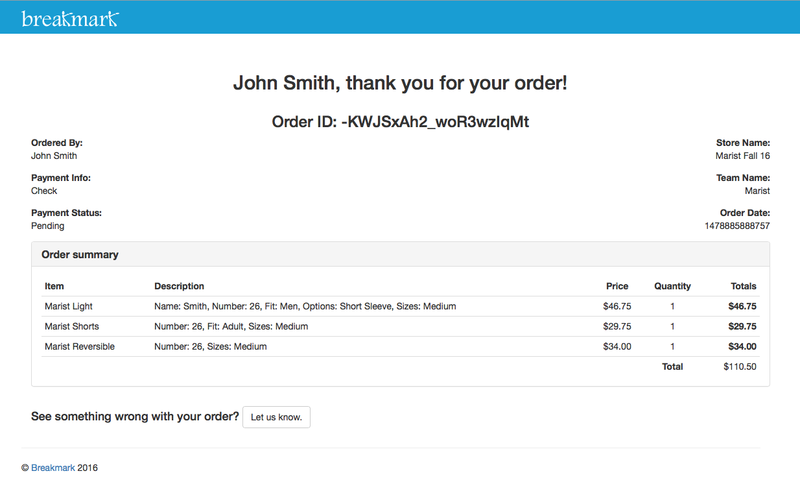 After you have entered all your information, click the “Place Order” button. From there, you will be directed to your invoice and you’re all set!